Here is the Rainlendar skin to match my Industrialized theme. 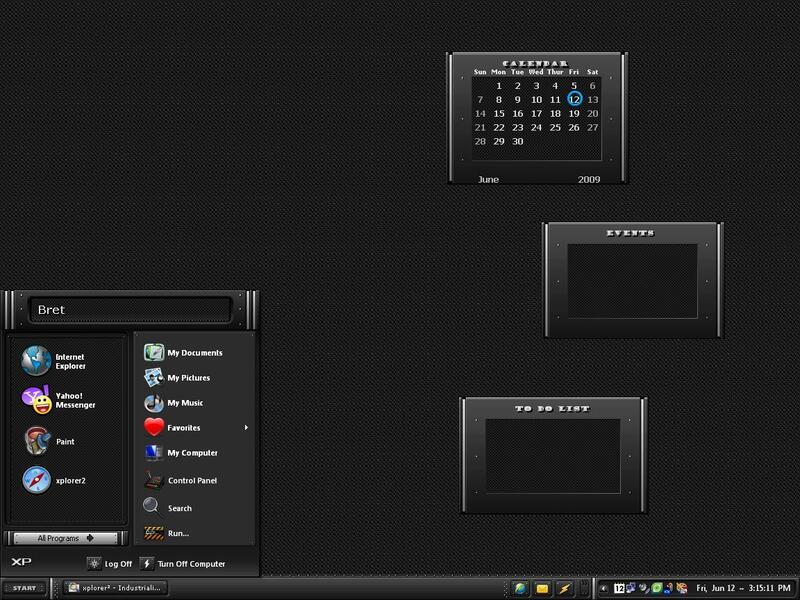 UPDATE 6-12-09: Redesigned the graphics to keep with the updated Windowblinds theme. ENJOY! Yes! I love the Industrialized theme and now theres a rainy to match. Any chance of possible widgets and the all other great stuff to match it? Personally I think an Industrialized Dxplayer would be the icing on the cake. Oh and I'm just curious if your going to make matching parts for Carbon as well. Keep up the fantastic work. I'll try to work it some extras for them when I get some time. Very nice work on both skins.